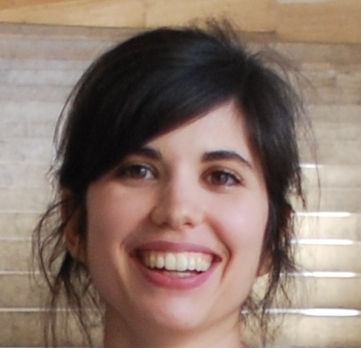 Margherita Arcangeli is a Humboldt research fellow at the Humboldt-Universität zu Berlin (Department of Philosophy). Her main areas of research are philosophy of mind, philosophy of science, aesthetics and epistemology. I am very happy to have had the chance to take a critical look at Kathleen Stock’s just-published book Only Imagine. During the Symposium I focused on the last chapter of the book, which touches on topics that are at the centre of my philosophical interests. In “Back to the Imagination”, Stock offers a new account of supposition. In my commentary I will consider how her account relates to other views about supposition. (a) “Supposition is wholly unconstrained” (Stock 2017, p. 198). (b) “Whereas (…) imagination is fine-grained and detailed, supposition is not, at least in paradigmatic cases (…). Relatedly, imagining but not supposition tends to involve embellishment” (ibid.). (c) “[I]n comparison with imagining the same content, supposing tends not to be accompanied by emotion” (ibid.). These features are very often taken to capture core or essential features of supposition. According to Stock, however, (a), (b) and (c) are only contingent features of supposition. She suggests that the habitual use of supposition in counterfactual reasoning has misled theorists into considering those features as distinctive. I take Stock to suggest that many epistemic contexts call for supposition, because it is so free that we can suppose almost anything we want. Moreover, although we can suppose things that we disbelieve, in epistemic contexts we aim to reveal something about the world. Furthermore, Stock claims that in counterfactual reasoning we only need to rest on a general level of description of what would be the case, if some events or facts were the case. For this reason, in such contexts, supposition does not call for embellishment, and is not accompanied by emotion. However, Stock argues that in other contexts supposition can be constrained, detailed and accompanied by emotion, for instance in fiction. Stock surveys two contrasting accounts of supposition. On what I call “non-imaginative views” of supposition, supposition and imagination are taken to be completely different mental activities. On this account (a), (b) and (c) are features that essentially distinguish supposition from imagination. Stock objects that, on the one hand, non-imaginative views overlook the similarities between supposition and imagination (e.g., they both have propositional content, we can suppose and imagine what we disbelieve), and, on the other hand, they multiply mental kinds beyond necessity. However, there are different ways of spelling out the non-imaginative account of supposition. Stock’s objections undermine only some versions of that account. We can distinguish between at least three views: reductionism, primitivism and deflationism. According to reductionism, supposition can be reduced to non-imaginative types of mental states. Two candidates for such a reduction are mere entertaining, or grasping of a propositional content, and acceptance. Primitivism claims that supposition is a sui generis mental state irreducible to other mental states such as imagination, entertaining or acceptance. Deflationism, finally, does not take supposition to be a genuine mental state, neither reducible to some non-imaginative mental state nor a sui generis one. On one way of fleshing out this view, supposition emerges when mental states, such as entertainings, acceptances or imaginings, are used for certain purposes (e.g., putting forward a hypothesis in mathematical reasoning). Stock’s objections do not successfully challenge any of these views. Indeed, all views can take on board the similarities between imagination and supposition whilst granting that (a), (b) and (c) entitle us to consider supposition as non-imaginative. A parallelism might be useful here. Think of perception and memory. Typically they are considered as different mental phenomena, although we can acknowledge that they have many common features (e.g., the type of content, the phenomenological aspect). Furthermore, while primitivism postulates a new mental kind, neither reductionism nor deflationism does it, avoiding an unparsimonious multiplication of mental states. Many defenders of non-imaginative views of supposition will therefore escape Stock’s objections. If we want to oppose non-imaginative views, one competing account of supposition is “cognitivism”, which sees supposition as belief-like imagination or cognitive imagination – if not imagination tout court. Defenders of cognitivism claim that (a), (b) and (c) are not sufficient to banish supposition from the imaginative realm. Stock objects to cognitivism that it must provide further grounds in order to make (a), (b) and (c) compatible with the features of cognitive imagination. Indeed, (a), (b) and (c) arguably contrast supposition not only with perception-like imagination, but also with cognitive imagination. Our cognitive imaginings can be constrained, involve embellishment and emotional responses. But, then, it is not clear how suppositions, if they show (a), (b) and (c), can be considered as cognitive imaginings. (C2) supposition is a species of cognitive imagination. The features that distinguish supposition from cognitive imagination (i.e., (a), (b) and (c)) run against C1, but not against C2. Proponents of C2 acknowledge that there are cognitive imaginings that are not suppositions, and put forward sophisticated accounts aimed at proving that (a), (b) and (c) make only quantitative differences between supposition and cognitive imagination (to my knowledge, only Currie & Ravenscroft and Weinberg & Meskin have offered such proposals, whose detailed analysis goes beyond my present purposes). I suggest that Stock’s view on supposition can be seen as a version of C2. She maintains that supposition is a form of propositional imagination, and takes the latter to be belief-like, insofar it is propositional and has a quasi-assertive nature. She specifies that in supposing one commits oneself to take the given content as fixed and unrevisable for the imaginative project one is engaged in. Moreover, since contrary to other proponents of C2, Stock takes (a), (b) and (c) to be only contingent features of supposition, she does not need to explain why, in contrast with non-suppositional cases of propositional imagination, supposition shows (a), (b) and (c). Stock does not consider a third account of supposition, what I dub “imaginative primitivism”. Imaginative primitivism occupies the conceptual space left between cognitivism and non-imaginative primitivism. Like the latter, imaginative primitivism holds that supposition cannot be reduced to other mental states such as entertaining, acceptance or cognitive imagination. And like the former, imaginative primitivism takes supposition to be sufficiently similar to both perception-like and cognitive imagination to consider it a type of imagination. According to this account, supposition is a sui generis type of imagination different from both perception-like and cognitive imagination. The idea is that (a), (b) and (c) are not sufficient to banish supposition from the imaginative realm. They rather suggest that supposition is not belief-like, thus separating supposition from cognitive imagination. Imaginative primitivism has the burden of proving why supposition differs from both perception-like and cognitive imagination with respect to (a), (b) and (c), while still being a type of imagination. Stock’s view can be compatible also with imaginative primitivism, provided that she accepts that (a), (b) and (c) are (or at least gesture towards) distinctive features of supposition. But this is a matter for another occasion. Stock’s is an interesting addition to the literature on the relationships between imagination, fiction, and supposition. Though more work is needed to shed light on the nature of supposition, she makes an extremely valuable contribution to this rich and complicated debate. Margherita Arcangeli focuses in her post on my view of supposition. In my book’s last chapter, I float a view according to which supposing is usefully understood as a “kind” of propositional imagining, with a characteristic role: namely, it fixes the identity conditions of the episode in which it figures. If what is supposed, in this sense, in a given episode is dropped, then that episode ceases to be, and another one begins. As such, supposition is not exclusively directed towards the establishing of counterfactual knowledge (roughly: finding out what would be the case, if something else was the case), as one might assume. It can have various purposes, including but not limited to this one. Equally, an author might suppose certain things as true, relative to the purpose of telling a particular story for others, and without a “counterfactual” aim, particularly. An author might, say, suppose that a certain character is a vampire – that is, fix this point as unrevisable, on pain of terminating the episode and starting a different one - because it’s central to her current purposes to imagine an entertaining story about a vampire. Generally, what is supposed in a given imaginative episode is relative to the purposes for which the episode is undertaken in the first place. The fact that, very often but not always, supposition is used as a route to counterfactual knowledge, explains, according to me, why various features often contingently present during its “counterfactual” use have been mistakenly taken by others to be essential to it. For instance, many have thought that, unlike requests to imagine, requests to suppose some proposition p cannot arouse imaginative resistance in principle; unlike imagining, allegedly, supposition is completely free. On my view, however, although it’s true that for many requests to suppose that p, no imaginative resistance follows, this is only because in those cases, the requests to suppose that p are assumed to have a purpose incompatible with the sort of accompanying aim that would provoke imaginative resistance. For instance, if the aim of the request to suppose that p is assumed to be to the establishment of what would be the case if p, rather than to get the hearer to believe that p, then usually imaginative resistance towards p won’t arise. In contrast, we can conceive of a case where listener Laura is asked to suppose by Kate to suppose that p, where p is e.g. morally unacceptable to Laura, and where she takes the point of Kate’s exercise to be to get her to engage in a kind of imagining which will ultimately result in believing that p; in which case, on my view, she will resist supposing that p. (For more on my theory of imaginative resistance, see Chapter 4 of my book). Equally, on my view, the facts that many acts of supposition, unlike many paradigmatic acts of imagining, are lacking in a) accompanying detail and embellishment of the scenarios they describe; and b) accompanying emotional response, are not defining characteristics of supposition as opposed to imagining, as some have thought. Rather, a) and b) are contingently due to the fact that a lot of supposition is aimed at counterfactual knowledge, so that detail and embellishment of the scenario described, and/or emotional response to it, is beside the point in those contexts. In her post, Arcangeli identifies three possible views about the relation between supposing and imagining, each of which would – she thinks - deny what I assert. The first is reductionism (supposing can be reduced to some non-imaginative state); the second is primitivism (supposing is sui generis); and the third is deflationism (supposing doesn’t really exist as a “genuine mental state” but “emerges when mental states, such as entertainings, acceptances or imaginings, are used for certain purposes”). I confess that I haven’t thought about the matter in anything like as much detail as Arcangeli, but it now seems to me that, given my view as outlined above, I might be a deflationist after all. In that case, it would be more accurate to say that I think supposing is a particular use of imagining, than I think it is a kind of imagining. I’m not sure though. Meanwhile, Arcangeli’s preferred account of the relation between supposing and imagining is “imaginative primitivism”, which says that supposition is a sui generis type of imagination, which is neither belief-like nor perception-like. I look forward to seeing her defence of this interesting-looking position in her forthcoming book.